Blackberry fans will be happy about a new handheld with mechanical buttons after the button-less DTEK60. Blackberry calls the new smartphone KeyOne, which is once again manufactured by TCL and equipped with Blackberry's Android based software with special security features. 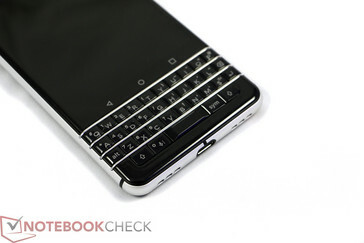 Pictures of the new keyboard smartphone with the development name "Mercury" only leaked recently. 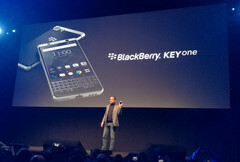 Blackberry now announced its latest smartphone at the Mobile World Congress (MWC) in Barcelona. 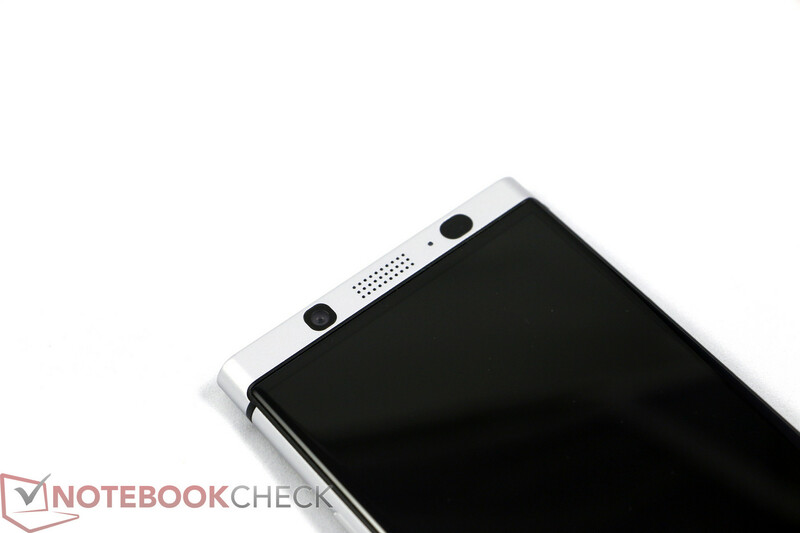 It has the designation KeyOne. The KeyOne is supposed to be nothing less than "the worlds most secure Android smartphone", at least this is what Blackberry says about the new KeyOne. This promise is supposed to be realized via monthly apps for the DTEK app. This app gives users full control over the security measurements and settings for the phone privacy. The hardware of the KeyOne includes a 4.5-inch display with a resolution of 1620 x 1080 pixels. Corning's Gorilla Glass 4 is supposed to prevent scratches. 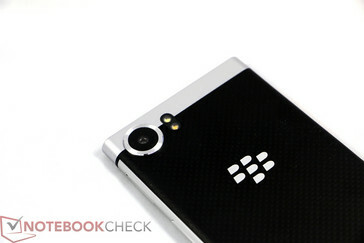 The interesting part is under the display, where Blackberry implements a physical keyboard. The latter is also pressure-sensitive and accepts swipe gestures. It is also possible to program individual keys, and the keys can differ between a quick and a long push. Overall, you can program up to 52 individual commands. Heart of the smartphone is a Qualcomm Snapdragon 625 in combination with an Adreno 506 GPU. 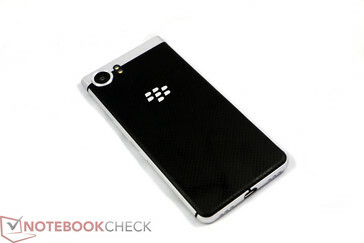 Blackberry or TCL, respectively, uses mainstream components. Thanks to the 3505 mAh battery, the manufacturer promises very long battery runtimes in return. Quick Charge 3.0 is supposed to recharge the battery to more than 50% in just 36 minutes. There is also a so-called Boost charge, which will put even more power into the battery for a short while. The camera module is also interesting. Blackberry talks about a 12 MP main camera (Sony IMX378 sensor) with a pixel size of 1.55 micro meters and phase detect auto focus. The front camera uses an 8 MP sensor with an 84-degree wide angle lens. The Blackberry KeyOne will be available in April worldwide for 599 Euros. We will share our initial impressions of the smartphone shortly.